Trends might be creative, sometimes completely out of the box and absolutely endearing. They, however, come with a certain shelf life and indeed an opportunity to improvise. Notwithstanding, disagreement towards following trends blindly, I have compiled few trends that I humbly think should either exit or take a better shape [literally] in the year 2018. Why should they exit or improvise? Baring the literature, I have spoken on these unwanted trends at a length in my video. Do watch it completely to learn more. Disclaimer: This video is not to hurt anyone's sentiment or personal choice, but a view in general. This does not include makeup for artistic or editorial purposes. Makeup for ramp may be originated for a particular theme and is generally restricted to that show. While everyday makeup, party or event makeup is included. If I have to choose between a flashy makeup or a no-makeup look, I will go for the latter. Abundance is good when it comes to care and conscience. With makeup, logic is as good as any science, art or baring few traits of commerce. You can always share your suggestions, feedback with me in the comment box or my email is- hautekutir@gmail.com. And if you are based out of Mumbai and wants to collaborate with me on any videos, post, do write in. 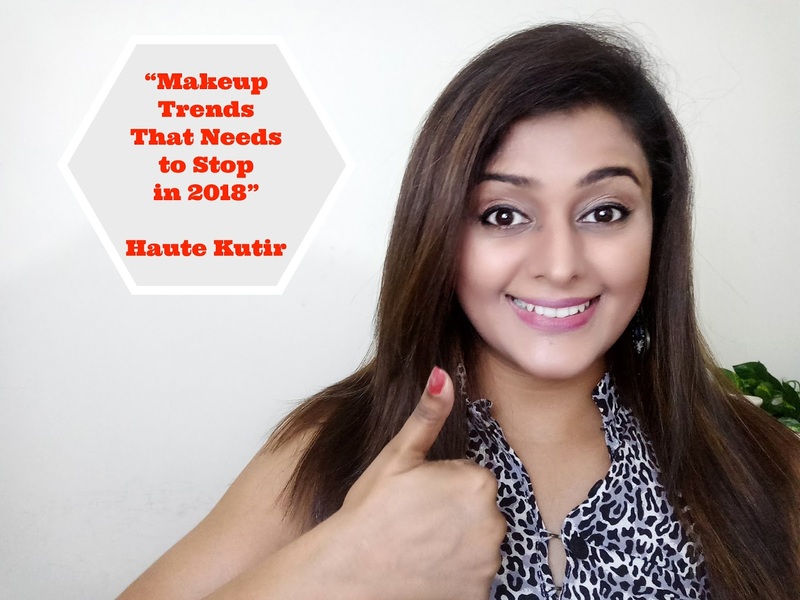 Haute Kutir Verdict: Like I said, beauty is above trends and makeup is just to enhance the beautiful you. Watch the trends or create you may. However, be open to improvise or stop when required. A little logic goes a long way even though it is makeup. 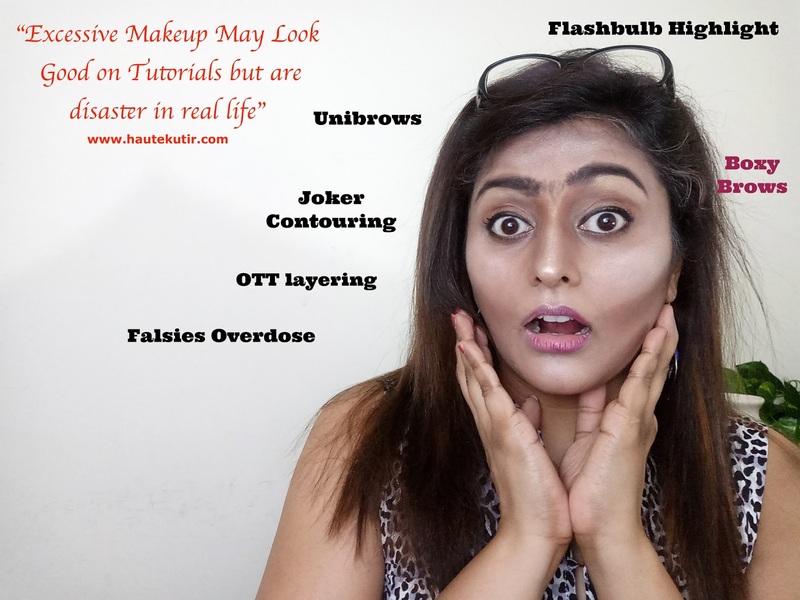 Excess or deficit are always extreme choices when it comes to practicing the art of makeup.